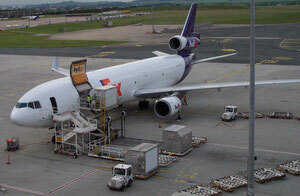 A new U.S. airline group, which among others, includes Atlas Air and the air cargo unit of FedEx, has formally banded together to create the "U.S. Airlines for Open Skies Coalition" with the aim to challenge the attempts by the Big 3 U.S. carriers, United, American and Delta to demand government intervention in the alleged distortion of competition via government subsidies by the three leading Gulf carriers, Emirates, Etihad and Qatar. Together with passenger airlines Hawaiian Airlines and JetBlue Airways, the four carriers have submitted a statement to the Obama Administration in which they back the Gulf carrier's cause, a Reuters report said. "We thought it was important that the government understand that there are many different voices in this choir," JetBlue's general counsel, James Hnat, was quoted as saying in announcing the letter from the group. The letter came just hours before the US government closes a public comment period on August 3 asking for views on whether Emirates, Etihad Airways and Qatar Airways have dumped capacity and begun pushing competitors out of key markets via US$42 billion in subsidies over the past decade. Although a spokesman for the coalition representing American, Delta, United and seven airline unions - known as the Partnership for Open and Fair Skies - immediately described the new grouping as "a meaningless coalition without a cause," the new partners are adamant that their companies have strongly benefited from the Open Skies agreements signed between the U.S. and United Arab Emirates and Qatar. FedEx Express, for example has a hub in Dubai, and JetBlue has seen a boost in passenger traffic from a relationship with Emirates that feeds the New York-based airline many international customers. In a reaction to the formation of the new grouping, Roger Dow, President and CEO of the U.S. Travel Association said: "We welcome the U.S. Airlines for Open Skies Coalition to the fight to preserve an institution that has enormously benefited U.S. consumers, job creation, and the economy. It sends a potent message that not only does the business community overwhelmingly oppose what the Big Three and their unions are trying to do to Open Skies - but even major elements of their own industry disagree with them as well." Meanwhile, a survey of 420 US travel industry professionals conducted online by the Business Travel Coalition, has found that 97.6 percent of respondents indicated support for the U.S. government Open Skies policy objectives and 90.2 percent agreed that the government should not give into U.S. airlines’ demands that foreign airline expansion into the U.S. be stopped. A majority of survey participants, or 86.2 percent, agreed that U.S. airlines need more competition from foreign airlines.